Witnesz Kibonge Mwepec is a female rap artist from Dar es Salaam, Tanzania. Witnesz is considered the biggest female MC in East Africa, and this is a title that she worked hard to achieve. She is regarded as an artist with ingenuity, complexity, and an amazing sense of humor. 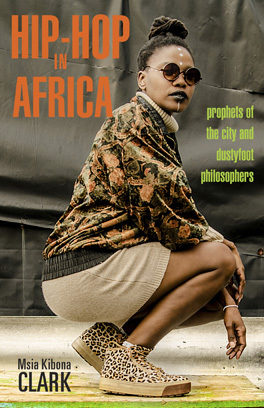 In her videos, Witnesz typically adorns traditional East African clothing, and she raps/sings in Swahili. Prior to translating the lyrics, I just watched the video and listened to the lyrics. I wanted to see if I could get an idea of what the song was about, solely based on the images shown in the video. I paid attention to the setting of the video, the colors used, the clothing they wore, and the overall vibe of the song. After watching the video three times, I had the idea that the song was about a return to tradition. I thought this included honoring elders, ancestors, and Tanzanian customs. In the video, Witnesz and the dancers are having a celebration, or a chama. Men play the drums, the group does traditional dances, food is being prepared, there are dance circles, and a boy comes to meet a girl. The colors in the video were vibrant, and highlighted the colors of their skin. In addition to this, all of the clothing was traditional. This made me think that the theme of this video was a return to Tanzanian traditions and customs. I looked up the translation of “Mzuka”, in order to get an idea for the theme of the song. I found that this translated to “ghost” in English. This made sense, because ghosts can symbolize a return to the past or the past informing the present. I could not find a direct translation to English, but this song does discuss tradition, and passing things on to new generations. In the second verse of the song, Witnesz raps, “The roots are deeper than the roots of people”. This song seems to be a song of inspiration, hope, and pride. Even without knowing exactly what Witnesz is saying, I could listen to this song over and over. It has an overall upbeat vibe that makes listeners feel good. As I watched the video, I could not help but dance to the rhythm. It sounds like a celebration. Over the rhythm, Witnesz’ voice is so strong and bold. I love how she presents herself in the video, too. She appears to be a strong, prideful woman. Witnesz is proud of her womanhood, and her home. This always shows in her music. Next Post: Vanessa Mdee Subverts Gender Norms Through Color in Her 2016 Hit, “Cash Madame”.